Beyoncé, also known as Beyoncé Knowles and Beyoncé Knowles-Carter, is an American singer, songwriter, and actress. She was a member of the top-selling American R&B girl group Destiny’s Child, along with Kelly Rowland and Michelle Williams, and also originally LeToya Luckett and LaTavia Roberson. Beyoncé is the daughter of Tina Knowles (born Célestine Ann Beyincé), a fashion designer, and Mathew C. Knowles, a businessperson and talent manager. Her sister is singer and actress Solange Knowles. She is married to rapper and music producer Jay-Z, with whom she has three children. The two are in a band together, The Carters. Beyoncé is a step-sister of actress Bianca Lawson. 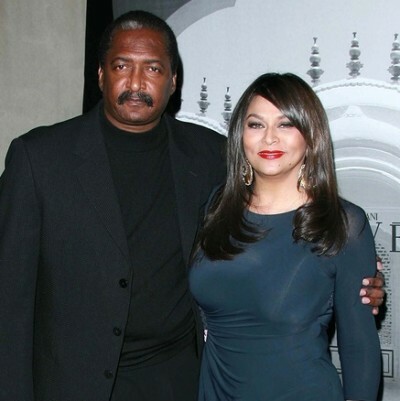 Her mother is married to Bianca’s father, actor Richard Lawson. Beyoncé’s father is African-American. Beyoncé’s maternal grandparents were French-speaking Louisiana Creoles, with roots in New Iberia; their ancestry included African and French (including French ancestors who lived in Canada). Through her mother’s line, Beyoncé is a great-great-great-great-great-great-granddaughter of Acadian leader Joseph Broussard. Beyoncé is also of approximately 1/32 Irish ancestry, and has distant Spanish and Breton roots on her mother’s side, as well (at least one of her great-great-great-great-great-grandfathers, Juan Tomas Francisco Garrido, was Spanish). Her name, Beyoncé, is a tribute to her mother’s maiden name, Beyincé. Beyoncé has said that she has Nigerian ancestry. Beyoncé has also been described as having Cherokee Native American ancestry. It is not clear if this ancestry has been verified/documented. No Cherokee Native American ancestors appear on publicly available family trees of Beyoncé’s mother. Beyoncé does not speak French or Spanish, but she has sung in Spanish before. A picture of Beyoncé’s maternal grandparents can be seen here. Beyoncé’s paternal grandfather was Matthew/Mathew Knowles (the son of Taylor Knowles and Girlie/Gurlie/Gerlie Mae Inez Miller). Matthew was born in Alabama. Taylor was the son of James Isaac Knowles and Sarah Elizabeth Dixon. Girlie was the daughter of Prophet Miller and Jane Hall. Beyoncé’s paternal grandmother is Lou Helen Hogue (the daughter of Davis/Dave Hogue and Hester Moore). Lou was born in Alabama. Davis was the son of Jim Hogue and Rosetta Moore. Hester was the daughter of Pinkney Madison Moore and Arenia Goree. Beyoncé’s maternal grandfather was Lumis Albert Beyincé/Buyincé (the son of Alexandre/Alexon Beyincé/Buyincé and Marie/Mary Amelie Oliver/Olevia Broussard). Lumis was born in Abbeville, Louisiana. Alexandre was the son of Jean Boyancé/Beyincé, who was born in France, and of Angéline Élizabeth Green. Marie Amelie was the daughter of Olivier Despanet Broussard and Alphonsine Boutte. Beyoncé’s maternal grandmother was Agnès/Agnèz DeRouen/Deréon (the daughter of Eugène-Gustave DeRouen and Odelia Broussard). Agnès was born in Decambre, Louisiana. Eugène-Gustave was the son of Gustave DeRouen and Marie-Estelle Gary, who was of part Spanish descent. Odelia was the daughter of Eloi/Eloy Rosemond/René Broussard and Celestine Josephine Lessee/Lesse/Lesser. A picture of Beyoncé’s great-grandfather Eugène-Gustave can be seen here.